Club Men's Rugby took on the Siena Saints on Sunday, October 15th on the Intramural Rugby Field at Hofstra University. Siena jumped out to an early 12-0 lead in the first half, but Jeremy Tabansi was able to score a crucial try for the Pride to cut the deficit to 12-5. Siena would add a try before the half to take a 17-5 lead at the break. As the second half began, Josh Beck added a try to make the score 17-10, but Siena would quickly answer and extend their lead 24-10. The score would remain there for most of the second half before Hofstra's conditioning was able to break through. Jeremy Tabansi scored his second try and converted the kick to inch the Pride closer at 24-17. 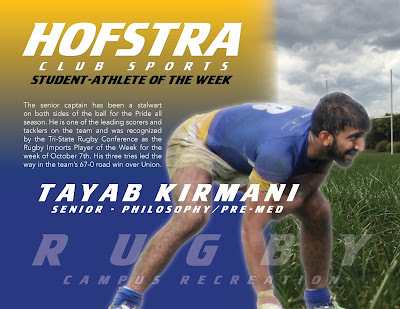 Tayab Kirmani would add another Hofstra try by weaving through defenders near the try line to bring the score to 24-22. Tabansi would convert another kick to tie the game at 24. With 10 minutes left to play, both teams fought extremely hard to gain the next point. Ultimately, Siena would score a try and defeat the Pride 29-24. The Pride look to clinch a playoff berth for the second consecutive season against Marist College on Sunday, October 22nd. Club Ice Hockey hosted the Fordham Rams on Friday, October 13th at the Northwell Health Ice Center in Eisenhower Park, East Meadow, New York. The Pride jumped onto the scoreboard first with a goal by Joe Grice. The Rams would match the Pride with a goal late in the period to tie the score at 1-1. The second period saw back and forth action, with solid play on both ends of the ice, but the Rams would score two late period goals to take a 3-1 lead. In the third period, Fordham scored multiple times in the opening minutes and the Pride fell to the Rams 7-1. The Pride were back on the ice in Dix Hills, New York to take on the Suffolk Community College Sharks. Suffolk would score first, but Joe Grice would even the score at 1 as he converted on a penalty shot. The Sharks would score multiple times to end the second period and headed to the 3rd period with a 5-1 lead. Hofstra continued their offensive struggles in the 3rd and lost to Suffolk 10-1. The Pride look to rebound on Saturday, October 21st at 10:15pm as they face off against Suffolk again at the Northwell Health Ice Center. Club Roller Hockey traveled to Warwick, Rhode Island on Saturday, October 14th and Sunday, October 15th. The Division 2 team began their weekend against Endicott College. The Pride jumped out to an early lead with an unassisted goal from Nigel Grove. The Pride would add to their lead on the power play with Richard Boudreau scoring off a Nigel Grove assist. The Pride would head to the second period with a 3-1 lead. Anthony Accardi and Colin Ewald would each notch a goal for Hofstra to extend their lead to 5-1, before Endicott responded with two goals of their own to cut the deficit to 5-3 entering the third period. Kevin Lavrado would score off an assist from Matthew Tavernite to put the Pride up by 3. Hofstra would skate their way to a 6-4 victory over Endicott. With a goal and four assists, Nigel Grove was named the first star of the game. Collin Ewald tallied a goal and two assists to be named the second star and Anthony Accardi was named the third star with a goal and an assist each. In their game against Boston University, the Pride and the Terriers jumped out to a combined seven goals, as Hofstra led 4-3 at the end of the 1st period. Collin Ewald got the Pride on the board early, followed by Anthony Accardi, Andrew Gagnon and Nigel Grove. Andrew Gagnon was the lone goal scorer in the second as the Pride took a 5-3 lead into the third period. Collin Ewald would add another two goals, Nigel Grove would also score his second of the game, and Andrew Gagnon would convert on the power play. Both Collin Ewald and Andrew Gagnon came away with hat tricks for the Pride and were named the game's first and second star respectively, as the Pride won 9-8. Overall the Pride would end the weekend 2-2, falling to Northeastern and Stony Brook. Nigel Grove led the team with 7 goals and 14 points over the course of the weekend. Andrew Gagnon also tallied 14 points in the 4 games and Colin Ewald tallied 11 points in 3 games. Club Equestrian competed at the Olde Town Equestrian Center in Selden, New York on Sunday, October 15th. Kate Milford placed 2nd over fences and 4th on flat, Victoria Vossler placed 2nd in walk trot canter, Hannah Matuszak placed 2nd in beginner walk trot canter and Julia Shalov placed 3rd in beginner walk trot canter. Club Billiards held their weekly match at Mickey Malones in Floral Park, New York on Sunday, October 15th. Kevin Gomes and Jorge Contreras came away with match wins for the Pride. Gomes had a shutout victory, winning 4-0 with an 8-ball break. Contreras came back from an 0-2 deficit to win his match 5-3. Club Climbing held their weekly climb at The Cliffs at Long Island City in Long Island City, New York on Saturday, October 14th. Several team members passed their certification to belay people for top rope climbing. Jeremy Robinson also passed the lead climbing test. Fields at Hofstra University. Despite an excellent job hosting the tournament, Hofstra did not come away with a win. 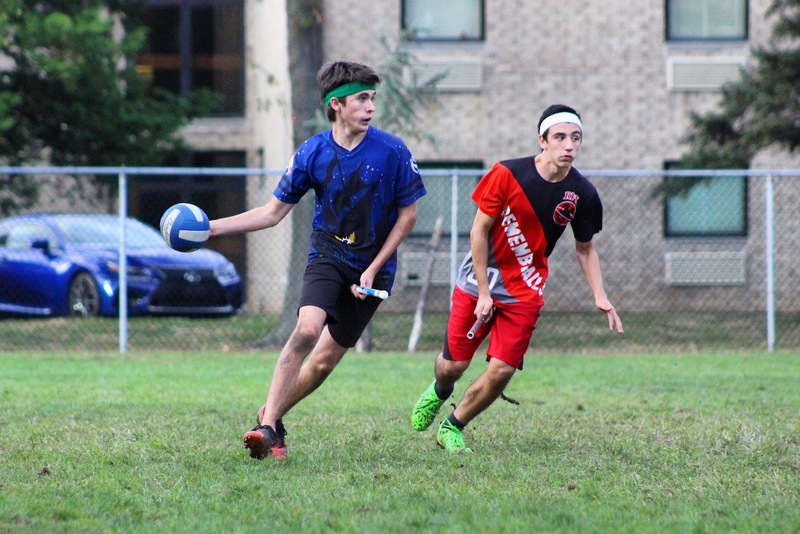 Club Quidditch hosted their annual Oktoberfest Invitational on the Hofstra University Intramural Fields on Saturday, October 14th. 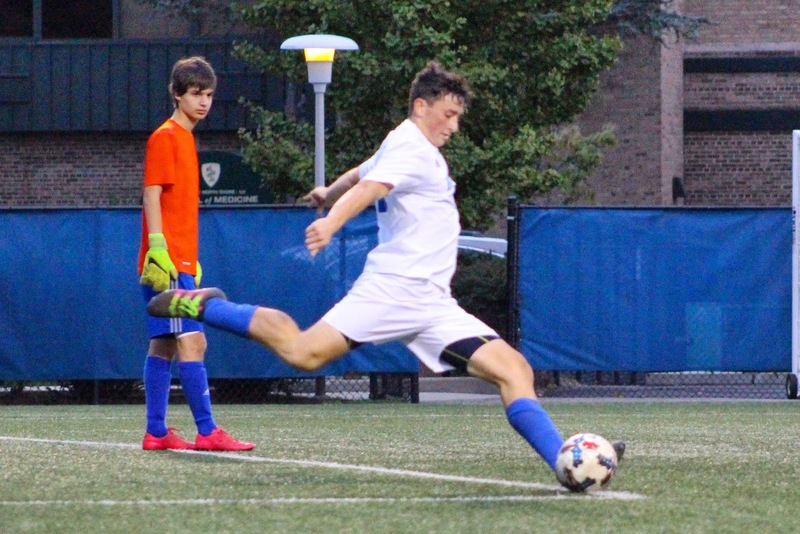 Club Men's Soccer hosted Stevens Institute of Technology on Friday, October 13th under the lights at the Hofstra Soccer Stadium. The Pride fell to Stevens by a score of 1-0. The Pride were back in action against Montclair State University on Sunday, October 15th in Montclair, New Jersey, where they fell to the Red Hawks by a score of 3-0. The senior captain has been a stalwart on both sides of the ball for the Pride all season. 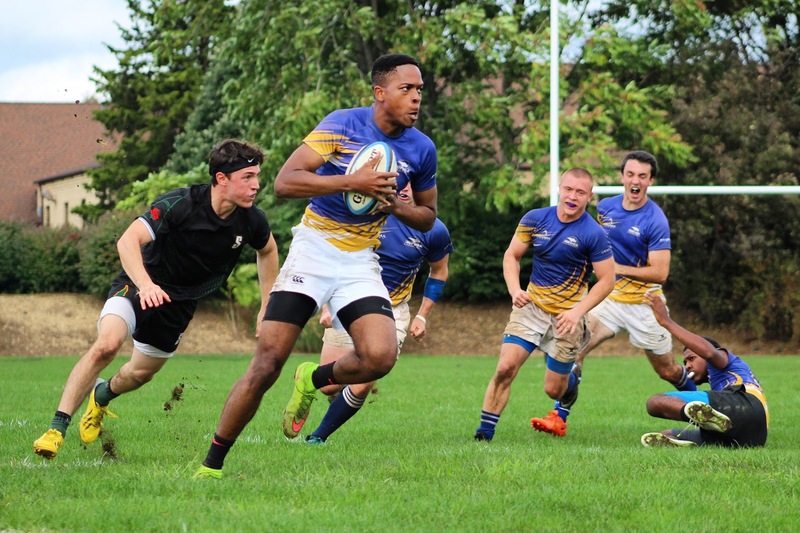 He is one of the leading scorers and tacklers on the team and was recognized by the Tri-State Rugby Conference as the Rugby Imports Player of the Week for the week of October 7th. His three tries led the way in the team's 67-0 road win over Union. Congratulations to Tayab!